Support and promote movements led by marginalized groups. We have an obligation to use our positions of privilege and resources to create space for underrepresented and marginalized groups in the pursuit of climate change solutions. Scientists and the scientific community must engage, through partnership and participation, to provide evidence and analysis in order to inform community-based decisions. We need to embrace a departure from the status quo of patriarchal leadership, and to embrace the new leadership’s vision for climate policy and solutions that includes all people of the United States. It is amazing that scientists are falling for this garbage. The Congressional resolution starts with a supposedly scientific declaration that "human activity is the dominant cause of observed climate change over the past century". Not really. The IPCC report said that it is extremely likely that most of the observed warming since 1950 can be attributed to human influence, mainly CO2 emissions. But the climate has been changing for millions of years, and I am not sure it makes sense to talk about how much of it is caused by human activity. Many of the changes are beneficial, but the resolution and the scientists do not mention those. This is a little like complaining about down days on Wall Street, without mentioning the up days, and wanting to stop the changes. Where Minkowski underlined the conceptual continuity of non-Euclidean geometry and the notion of time in relativity, Planck refused the analogy, and emphasized the revolutionary nature of Einstein's new insight.32 For Planck, however, there was at least an historical similarity between non-Euclidean geometry and relativity. The relativity revolution was similar to that engendered by the introduction of non-Euclidean geometry: after a violent struggle, Planck recalled, the Modernisten finally won general acceptance of their doctrine (1910, 42-43). In his address to the German Association in September, 1910, Planck acknowledged that progress in solving the abstract problems connected with the principle of relativity was largely the work of mathematicians. The advantage of mathematicians, Planck noted (1910, 42), rested in the fact that the "standard mathematical methods" of relativity were "entirely the same as those developed in four-dimensional geometry." Thus for Planck, the space-time formalism had already become the standard for theoretical investigations of the principle of relativity. Planck's coeditor at the Annalen der Physik , Willy Wien (1864-1928), reiterated the contrast between non-Euclidean geometry and physics in his review of Einstein's and Minkowski's views of space and time. Wien portrayed Einstein's theory of relativity as an induction from results in experimental physics; here, according to Wien (1909, 30), there was "no direct point of contact with non-Euclidean geometry." Minkowski's theory, on the other hand, was associated in Wien's lecture with a different line of development: the abstract, speculative theories of geometry invented by mathematicians from Carl Friedrich Gauss to David Hilbert. It is commonly remarked that special relativity was quickly accepted, even tho it was a radical shift from Newtonian mechanics. But this shows that only the mathematicians accepted the non-Euclidean geometrical core of the theory, while the physicists Einstein, Planck, and Wien did not. In a footnote to this work, Sommerfeld remarked that the geometrical relations he presented in terms of three real and one imaginary coordinate could be reinterpreted in terms of non-Euclidean geometry. The latter approach, Sommerfeld cautioned (1910a, 752), could "hardly be recommended." Thus ignoring both Sommerfeld's dim view of his non-Euclidean program, and Einstein's correction of his interpretation of relativity theory, Varicak went on to demonstrate the formal simplicity afforded by hyperbolic functions in the theory of relativity. Calling the contraction a "psychological phenomenon" sounds bogus, but Varicak's point was that the contraction is just a non-Euclidean geometrical artifact, and objects just seem contracted because of the way we use Euclidean coordinates. Varicak was completely correct about this. So were Mathematicians Poincare and Minkowski at the time, and that is how modern textbooks describe the contraction. Walter refers to "Einstein's correction of his interpretation". Varicak thought that he was agreeing with Einstein, but Einstein actually published a paper in 1911 specifically disavowing Varicak's geometrical interpretation, and insisting on Lorentz's view of objects actually contracting by motion thru the aether or whatever. For details, see The Einstein-Varicak Correspondence on Relativistic Rigid Rotation. Varicak is completely correct, except that he is attributing the Poincare-Minkowski geometric view of relativity to Einstein. Einstein published a rebuttal to this, where he sided with Lorentz's interpretation of the contraction. Let us emphasize once more, that these changes in the units of time and length, as well as the changes in the units of mass, force, and energy which we are about to discuss, possess in a certain sense a purely factitious significance; although, as we shall show, this is equally true of other universally accepted physical conceptions. We are only justified in speaking of a body in motion when we have in mind some definite though arbitrarily chosen point as a point of rest. The distortion of a moving body is not a physical change in the body itself, but is a scientific fiction. The paper endorses views that "appear in a certain sense psychological". By that, he means that our measures of distance and time require referring to an observer. That is the geometric relativistic view that nearly everyone accepts today. You would think that Einstein would jump at the chance to claim credit for having a superior understanding than what Lorentz had, and to accept credit for the more modern geometrical interpretation. By 1911, the geometrical interpretation was widely understood and accepted. He must have strongly disagreed with the geometrical interpretation. I don't see how anyone can credit Einstein for special relativity in view of the fact that he disavowed the geometrical interpretation. The non-Euclidean geometry of relativity was discovered by Poincare in 1905, popularized by Minkowski in 1907, and widely accepted in 1908. In 1911, Einstein still did not understand or accept it. This is a reason I do not credit Einstein for relativity. It is not that he and Poincare published the same thing in 1905. It is that Poincare was 6 years ahead of Einstein. Walter's historical analysis ends in about 1913, so he gives the impression that the use of non-Euclidean geometry in relativity was just some topic to amuse mathematicians, and was a big dead-end for physicists. In fact, the non-Euclidean geometry view of relativity has dominated from 1913 to the present day. The 1998 paper was not a study, but just a note based on a few observations. Retracting it did not say anything about whether vaccines cause autism. If you want to show that vaccines do not cause autism, you have to do a scientific study on the subject. Punishing the guy who suggested a link does not help. Taking away Wakefield's license did not prove that he was a liar. It proved that the authorities feared what he was saying. I am amazed that science advocates today like to cite this Wakefield story as an example to show that some papers should be suppressed, and some non-conforming individuals must be ostracized. It would have been much better to rebut Wakefield with scientific evidence. Albert Einstein was inspired to propose his Theory of Relativity after reading the works of a 18th century Scottish philosopher, it has emerged. A new letter, discovered at the University of Edinburgh shows that the German-born theoretical physicist had studied David Hume’s A Treatise of Human Nature just before proposing special relativity in 1905. The groundbreaking theory suggested that the speed of light remained the same even if the observer was speeding up or slowing down, suggesting that time and space therefore could not be constant. A newly discovered letter from the University of Edinburgh shows that Einstein's Theory of Relativity was inspired by 18th century Scottish philosopher, David Hume. The letter from the German physicist describes his avid reading of David Hume's 'A Treatise of Human Nature', just before proposing his own theory of special relativity in 1905. The physicists even admits in the letter that it is 'very possible' that he may not have achieved his theory of relativity were it not for Hume's questions. Hume was a famous philosopher, historian and economist was known for his ideas of naturalism and scepticism. His book 'A Treatise of Human Nature', was first published in 1738, sixty-one-years before the birth of Einstein, and in it he questions the idea of time and space being related in the context of science. Hume influence in a 2004 paper. This is all so absurd. Einstein did not discover special relativity in 1905. He later told interviewers that he had been working on that 1905 paper for about 8 years. The theory that we know today as special relativity was almost entirely the work of Lorentz, Poincare, and Minkowski. Einstein had almost nothing to do with it. But this was just Einstein's way of stealing credit for himself. Saying that he got inspiration from dead philosophers is about like saying that he got inspiration from the Bible or Shakespeare. It is just a sneaky way of denying that his ideas from contemporary relativity publications. It is known that he read Poincare's works on the relativity of time, and what Einstein wrote was the same. These sorts of myths are promoted by the Einstein idolizers and the anti-positivists. The anti-positivist angle is not so obvious. Positivists believe that scientific knowledge is based on experiments and reason. The anti-positivists deny this, and say that great geniuses like Einstein can just invent a theory without relying on empirical knowledge, and his ideas will catch on like a big fad. So they say Einstein invented relativity based on philosophical ideas from decades, or even centuries, earlier. This is crazy. Everything Einstein said about special relativity was published better and earlier by Lorentz and Poincare, and they explicitly relied on experiments like the Michelson-Morley. I have been defending atheism and religious skepticism since we founded Skeptic in 1992, both through the magazine and in my books, and have continued the tradition throughout my nearly 18 years as a Scientific American columnist, for example on the rise of atheism. . . . and the death of God. One problematic aspect of the “atheist” label is that believers and “faitheists” (as you so effectively call atheists who believe in belief — for others, of course), is that we allow others to define us by what we don’t believe. That will never suffice. We must define ourselves by what we do believe: science, philosophy, reason, logic, empiricism and all the tools of the scientific method, along with civil rights, civil liberties, women’s rights, gay rights, animal rights, and moral progress as a result of these components of our worldview, which might better be described as humanism or one of its variants: secular humanism, Enlightenment humanism, or as I’m now suggesting, Scientific Humanism, the subject of my final Scientific American column. Defining ourselves by what we do believe prevents believers and faitheists from calling us “atheists” and then attacking whatever that word means to them, instead of what it means to us (namely, a lack of belief in a deity, full stop). I usually expect to agree with him, and then discover that I don't. If atheism just means "a lack of belief in a deity, full stop", then what are all those other issues he brings up in the preceding paragraph? No, that is not what atheism has come to mean. Atheists attend conferences led by gurus who have written best-selling books, and they have redefined the term. In particular, they have adopted a left-wing agenda that has little to with belief in a deity. For example, Shermer lists his positive atheist beliefs as including "animal rights"! More importantly, the atheist gurus seem to all believe in a leftist notion of moral progress. You won't see Trump supporters at an atheist convention. Shermer calls himself a "skeptic", but what is he skeptical about? He appears to take the most boring and conventional positions that you would expect from our current batch of leftist groupthink academics. In 1614 Johann Georg Locher, a student of the Jesuit astronomer Christoph Scheiner, proposed a physical mechanism to explain how the Earth could orbit the sun. An orbit, Locher said, is a perpetual fall. He proposed this despite the fact that he rejected the Copernican system, citing problems with falling bodies and the sizes of stars under that system. In 1651 and again in 1680, Jesuit writers Giovanni Battista Riccioli and Athanasius Kircher, respectively, considered and rejected outright Locher's idea of an orbit as a perpetual fall. This is interesting because it is widely assumed that medieval geocentrists suffered from too much religion or a lack of imagination or a refusal to consider scientific arguments. In fact, someone had a model of Earth's orbit that was conceptually similar to Newton's. Earth is in free fall towards the Sun. Like Tycho Brahe, Locher accepted that the other planets revolved around the Sun. He didn't think that Earth moved because of the failure to observe the Coriolis force, among other reasons. The Coriolis force was demonstrated a couple of centuries later. Occasionally someone says Copernicus or Galileo created modern science, as the previous geocentrism was completely unscientific. This is nonsense. In 1600, there were legitimate scientific arguments for and against geocentrism. You may have read that quantum computers one day could break most current cryptography systems. They will be able to do that because there are some very clever algorithms designed to run on quantum computers that can solve a hard math problem, which in turn can be used to factor very large numbers. One of the most famous is Shor’s Factoring Algorithm. The difficulty of factoring large numbers is essential to the security of all public-private key systems — which are the most commonly used today. Current quantum computers don’t have nearly enough qubits to attempt the task, but various experts predict they will within the next 3-8 years. That leads to some potentially dangerous situations, such as if only governments and the super-rich had access to the ultra-secure encryption provided by quantum computers. There are plenty of reasons quantum computers are taking a long time to develop. For starters, you need to find a way to isolate and control a physical object that implements a qubit. That also requires cooling it down to essentially zero (as in .015 degrees Kelvin, in the case of IBM‘s Quantum One). Even at such a low temperature, qubits are only stable (retaining coherence) for a very short time. That greatly limits the flexibility of programmers in how many operations they can perform before needing to read out a result. Not only do programs need to be constrained, but they need to be run many times, as current qubit implementations have a high error rate. Additionally, entanglement isn’t easy to implement in hardware either. In many designs, only some of the qubits are entangled, so the compiler needs to be smart enough to swap bits around as needed to help simulate a system where all the bits can potentially be entangled. So quantum computing is extraordinarily difficult, but they will break most of our computer security systems, and experts predict it within the next 3-8 years. I have occasionally argued that Bell's Theorem has been wildly misinterpreted, and that it doesn't prove nonlocality or anything interesting like that. Readers have supplied references saying that I am wrong. Now I find a short Murray Gell-Mann interview video agreeing with me. The Bell test experiments do show that quantum mechanics differs from certain classical theories, but not by spookiness, entanglement, or nonlocality. You could say that the particles are entangled, but classical theories show similar effects. When two variables at the same time don't commute, any measurement of both of them would have to be carried out with one measurement on one branch of history, and the other measurement on the other branch of history. That's all there is to it. ... People are still mesmerized by this confusing language of nonlocality. That's right. The Bell paradoxes are based on comparing one branch of history to another, as if there were counterfactual definiteness. Quantum mechanics forbids this, if you are comparing noncommuting observables. The Bell theorem and experiments did not really tell us anything that had not already been conventional wisdom for decades. The bizarre thing about Bell's Theorem is that some physicists say that it is the most profound discovery in centuries, and other just shrug it off as a triviality. I do not know of any difference of opinion this wide in the whole history of science. After years of reading papers about it, I have moved to the latter camp. The theorem encapsulates why some people have conceptual troubles with quantum mechanics, but if the accept the conventional wisdom of 1930, then it has nothing interesting. In light of [the security issues with today's internet], researchers have proposed other ways of transmitting data that would leverage key features of quantum physics to provide virtually unbreakable encryption. 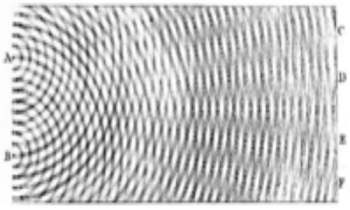 One of the most promising technologies involves a technique known as quantum key distribution (QKD). QKD exploits the fact that the simple act of sensing or measuring the state of a quantum system disturbs that system. Because of this, any third-party eavesdropping would leave behind a clearly detectable trace, and the communication can be aborted before any sensitive information is lost. Until now, this type of quantum security has been demonstrated in small-scale systems. So if this technology becomes commercially available, you can set up a network that would have to be shut down if anyone tries to spy on it. Or you can use conventional cryptography that has been in common use for 30 years, and continue to communicate securely regardless of how many people might be trying to spy on you. The situation reminds me a little of the quantum computing skeptics who say: scalable QC can never work, in practice and probably even in principle; the mainstream physics community only thinks it can work because of groupthink and hype; therefore, we shouldn’t waste more funds trying to make it work. With the sole, very interesting exception of Gil Kalai, none of the skeptics ever seem to draw what strikes me as an equally logical conclusion: whoa, let’s go full speed ahead with trying to build a scalable QC, because there’s an epochal revolution in physics to be had here — once the experimenters finally see that I was right and the mainstream was wrong, and they start to unravel the reasons why! I don't draw that conclusion because I don't believe in that "epochal revolution" either. 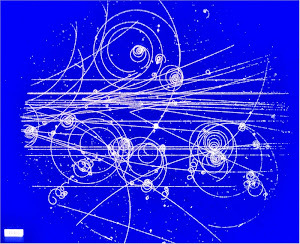 When the LHC failed to find supersymmetry particles, did we have an epochal revolution telling us why naturalness and SUSY and unified field theories failed? No. For the most part, physicists went on believing in string theories and all their other nutty ideas, and just claimed that maybe bigger and better accelerators would vindicate them somehow. That will go on until the money for big projects runs out. The cost of accelerators is exponentially increasing, and the money will run out. They need an accelerator the size of the solar system to get what they really want. Quantum computers have already had 20 years of hype, billions of research dollars, and some of the world's smartest people working on them. So far, no quantum supremacy. IBM and Google have been promising that for over a year, but they are not even explaining how their plans went wrong. This could go on indefinitely, without any additional proof of the folly of their thinking. I defended Sheldon Glashow's negative review in Inference of a popular quantum mechanics book by Adam Becker. Most, if not all, popular accounts of quantum mechanics are filled with mystical nonsense about Schroedinger cats, entanglement, non-locality, etc. Instead of just explaining the theory, they do everything to convince you that the theory is incomprehensible. Becker's book was in that category, and Glashow's sensible review throws cold water on the nonsense. Now Becker as struck back, and posted an article in Undark attempting to trash the online journal Inference as unscientific and aligned with evil Trump supporters. Inference responds, and so does Peter Woit. I guess I'll read some more of those Inference articles to see if the journal really has a right-wing bias. If so, that would be refreshing, as Scientific American and all the other science journals have a left-wing bias. But I doubt it. In Becker's dispute, Glashow simply defends orthodox quantum mechanics while Becker's book is grossly misleading. Becker says that Inference offered him a "fine fee" to write a response to the negative book review, and he declined. Most authors are eager to defend themselves against a negative review. Among other things, Becker attacks Inference for this essay arguing that Copernican astronomy in the 16th century was somewhat more accurate than Ptolemaic astronomy. It appears to be a very good analysis. The gripe is that Tipler also has some unusual theological views that do not appear to be relevant to his essay. Philosophers of science are always talking about the grounds for accepting or rejecting Copernicanism. And yet they hardly ever address the quantitative accuracy. It has become typical for left-wingers to (1) cling to weirdo unscientific beliefs; (2) get very upset when an organization publishes views contrary to their ideology; and (3) launch guilt-by-association and character assassinations against those who permit contrary views.